Halloween is just around the corner, and everybody should be ready for this spooky and funny day. 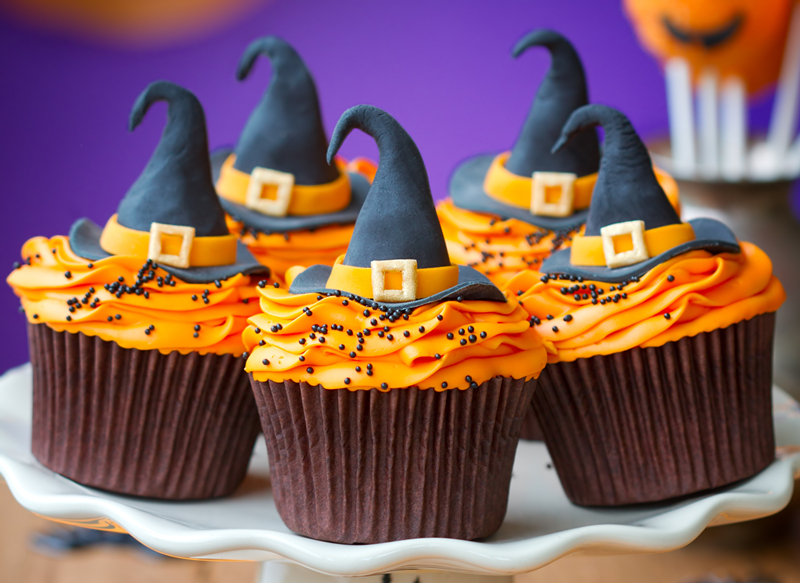 Have you already pull off all the Halloween decorations? 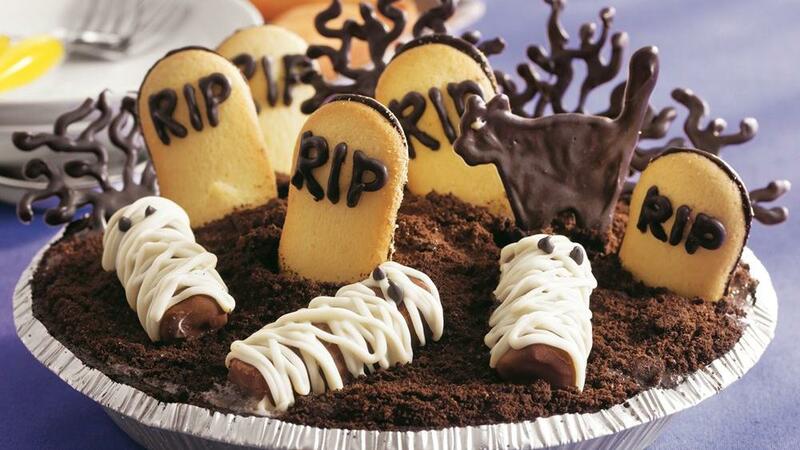 And you are looking for fun ideas for making the Halloween treats which absolutely surprise your kids and the guest. 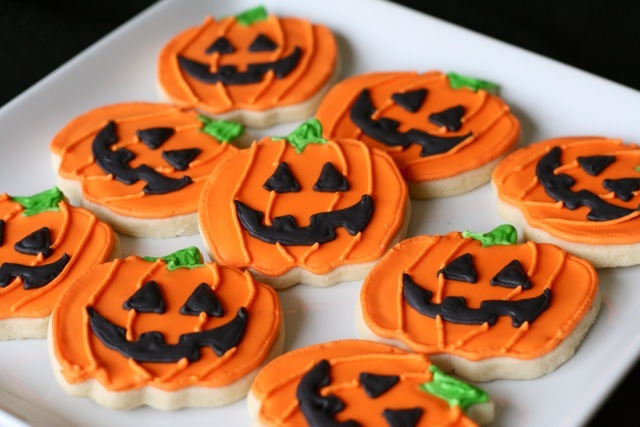 For those of you, here are some super funny ideas for the homemade Halloween sweets for this year, and I bet that everybody would love them. I’m pretty sure that most of you are good at making cookies, and your kids love the cookies so much. 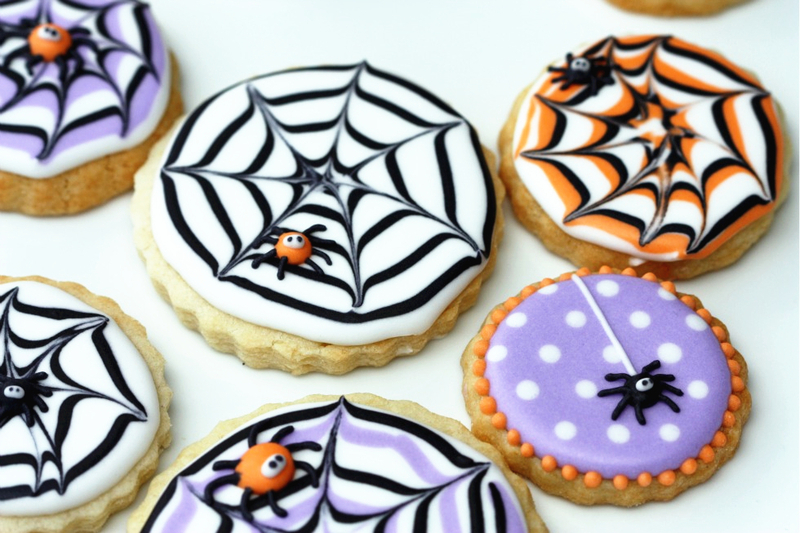 The sugar cookies are super eye-catching and easy to pull off. 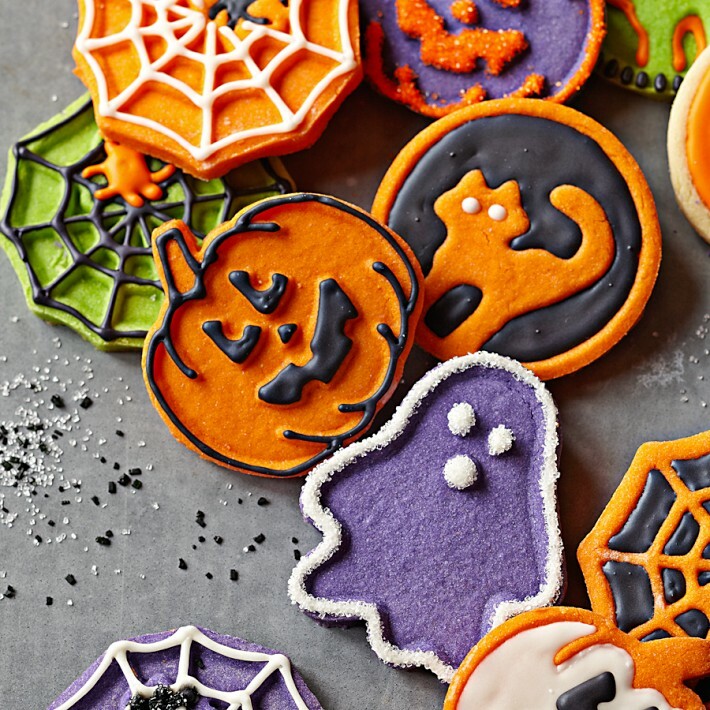 The pumpkin cookies could be the smart choice to liven up the Halloween, while the spider web cookies show you the spooky feelings. 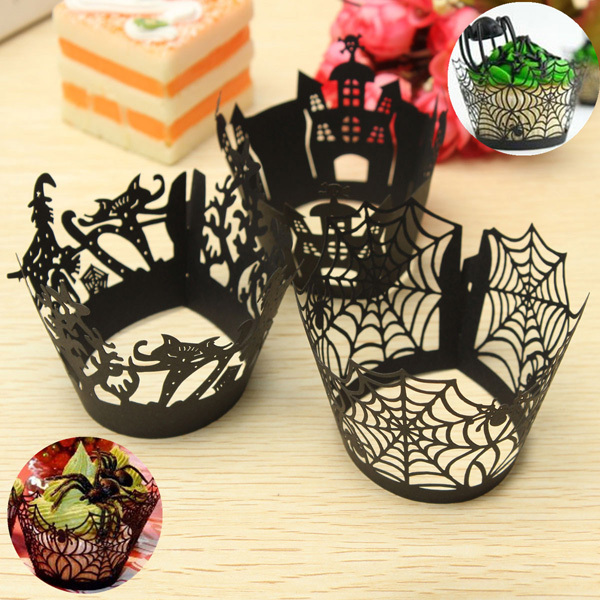 If you are looking for the idea which is funny and super easy, I highly recommend you this Halloween cupcake cake wrappers. 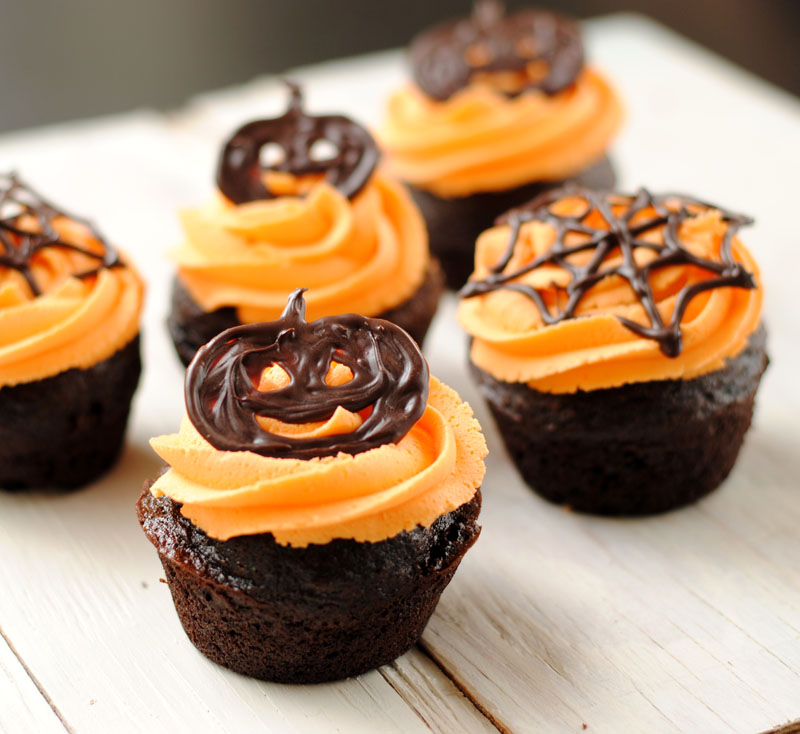 As long as you make the cupcakes, you could turn them into the Halloween cupcakes immediately with these wrappers. You can tell from the pictures I show down below that the orange whipped cream is inevitable for the Halloween. 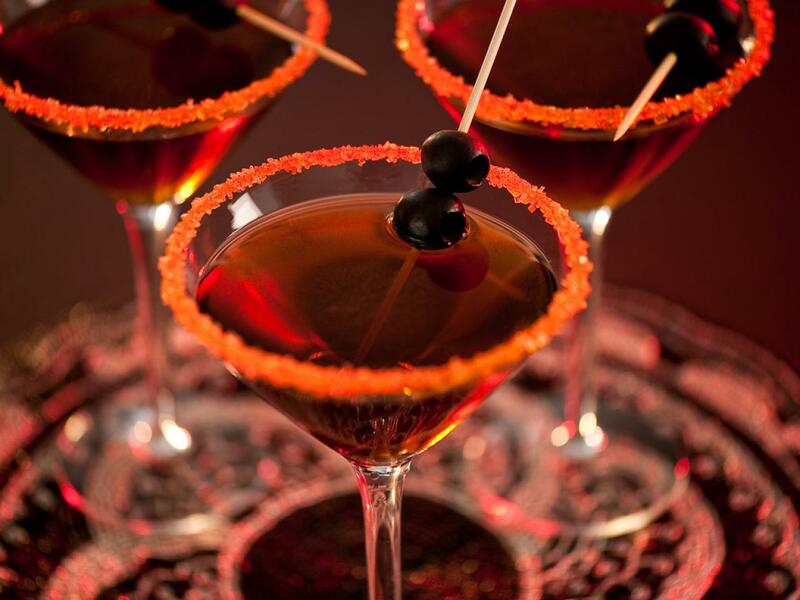 For adults’ Halloween, I bet that the cocktail is the one that you don’t want to miss. The bloody martini seems to be suitable for the spooky Halloween, and I can’t wait to take a sip from the glass drinkware sets. 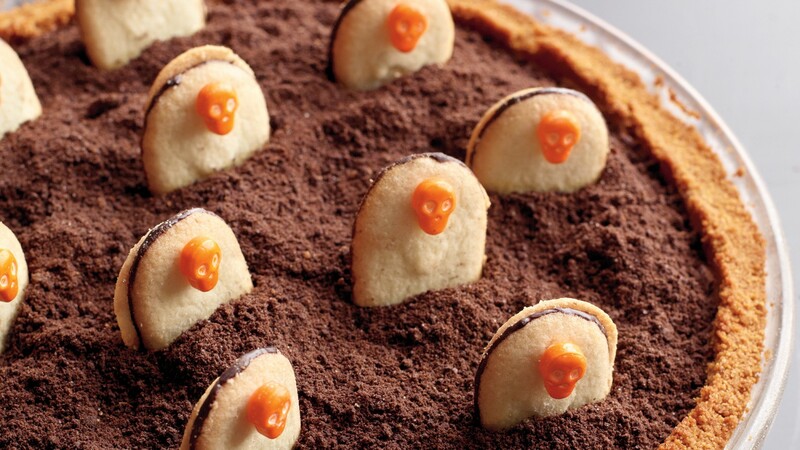 You want the spooky and delicious idea, so here is the graveyard pie, made from graham crackers, softened vanilla ice cream, orange candies and chocolate chips. This one is so creative and appealing to kids and adults. 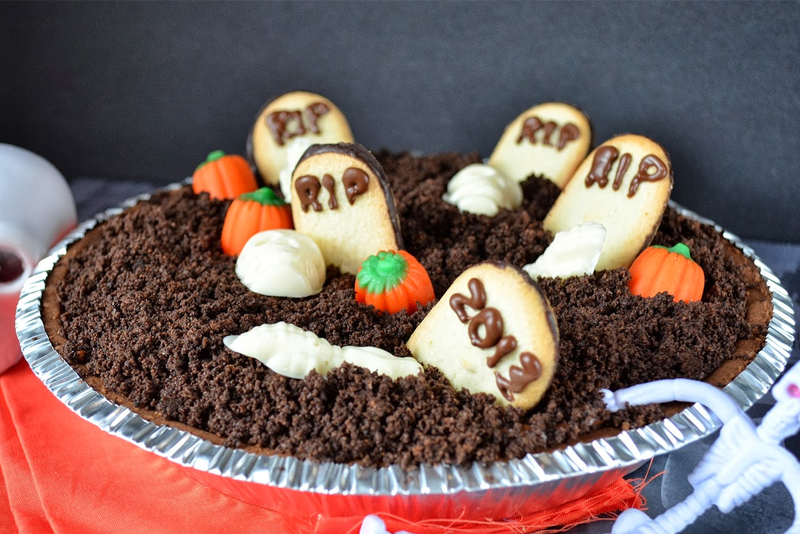 Or you could make the flavor that you love and spread the cocoa solids on the top of the pie, and the graveyard pie will be done by sticking the crackers into the pie.